Many is the time this season that Alan Pardew has complained about the pressure the local media place on Newcastle United, but today will be a reminder someone always has it worse. 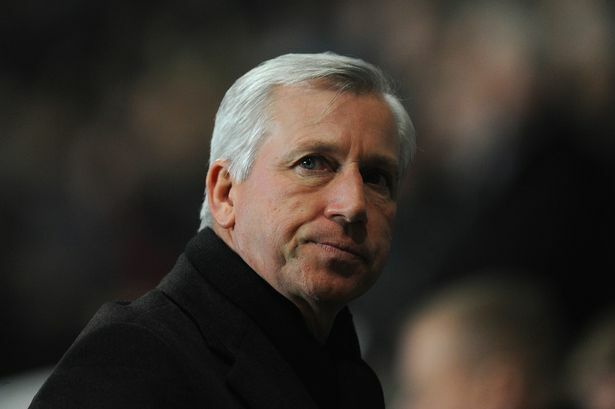 Pardew does not know he is born. Compared to the pressure David Moyes is under it is nothing, as even Pardew admitted this week. Newcastle’s manager was on the wrong end of a 3-0 defeat on Wednesday, only Swansea City’s second home win in this season’s Premier League (the other came against Sunderland). Yet in today’s televised game at Manchester United, the cameras will be on the home dugout. 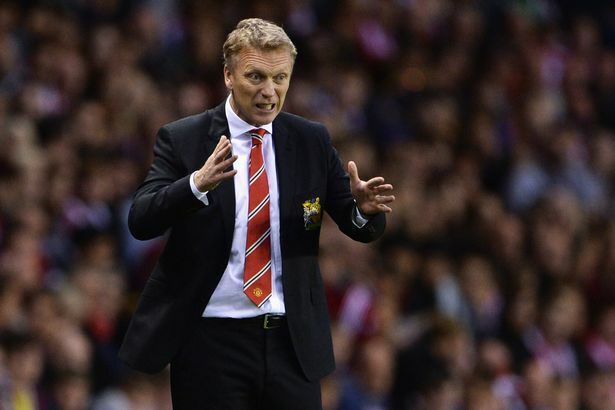 Moyes also tasted defeat on Wednesday, losing a home game for the second time this season. His was an unlucky 1-0 reverse at the hands of in-form Everton. Having taken a surprising amount of abuse from fans of his former club during the game, he then had to listen to the odd boo from his current supporters at the final whistle. The last couple of decades have got Manchester United out of the habit of losing to the point where it is no longer acceptable to large sections of their worldwide support. Even when they played badly, as when Newcastle nearly embarrassed them at Old Trafford last Boxing Day,they specialised in smash-and-grab victories. There were quite a few last season, masking the squad’s deficiencies with another lap of honour with the Premier League trophy. Sir Alex Ferguson made light of those failings and Moyes, yet to win a major trophy, is expected to do likewise. That the Red Devils are ninth in the table, already written off by many as potential champions, is the cue for much doom and gloom at Old Trafford. 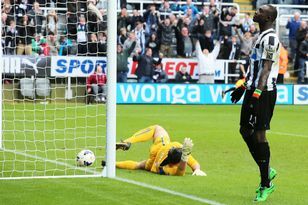 Were Newcastle to finish the season there it would prompt the popping of champagne corks and signing of bonus cheques. That they are currently two places higher is a great achievement in as far as it goes. “It’s a great job being manager of Manchester United and David has represented it with great honour and respect so far, but it was obviously going to be difficult to follow someone like Sir Alex Ferguson and the aura the man had,” Pardew reflects. All well and good, but what does this have to do with Newcastle United? Those in the over-priced away-end seats today think only in black-and-white, and rightly so. But the pressure on Moyes is relevant to the Magpies for the next couple of hours at least because it presents an opportunity. Old Trafford will be a nervy place for as long as the home side are not winning this afternoon. It gives Newcastle an advantage. “I hope so,” Pardew says. “I hope we can (capitalise) but we’re going to have to play a lot better than we did at Swansea. Outside the refereeing decisions which contributed to the result, we’ve got to play a lot better than that. “That (pressure) is what comes with the territory there. It’s great to be at those clubs with all the many assets they have in terms of the squad of that size and quality but you’ve got to win every game you play. It’s a little bit different to the agenda I have here or (Roberto) Martinez has at Everton. It’s tougher. This is tough but in a different way. “If you’re a betting man you’d have to say Arsenal or Man City in terms of the title, they look the favourites to me, but Man City have been beaten (four times) and Arsenal have been the most consistent team and will try to keep going through this second third of the season. Pardew, who has admitted earlier this season he thought he might not make it to Monday’s third anniversary in the job, has a major advantage over Moyes in that his target is not unknown territory. While Manchester United’s manager has never challenged for a title, Pardew was in the running for a Champions League spot in 2011, albeit he had to make do with the Europa League. That he is doing so again with a squad lacking the summer investment he wanted is to his credit. For all the talk of the Red Devils’ lost aura, though, it still holds sway with Pardew. Just ask him if they can still win the league this season. It is Pardew’s job today to make sure that enviable reputation takes another battering this afternoon.